SHOES MAKE A HUGE DIFFERENCE. BUY INTENTIONALLY. Success on a competition climb often comes down to whether you can create just enough enough friction under your feet on a slippery volume or an overhang climb. This is a game of millimeters and just barely finding a way to keep your feet stable before securing the next hold can mean the difference between moving on to the next championship competition or ending your season. Climbing shoes matter but not all competitors are climbing at a level yet where that’s important. And that’s ok. We’ll help keep you from overbuying when you don’t need to. Beginner shoes typically last longer, but will not perform as well as stickier and sensitive performance shoes. Rental shoes are awful. Good for the first ever time, but you will not progress well in them. Switching from a shoe you don’t jive with to shoe that you really connect with can make a huge difference in confidence. Try before you buy if possible. Evolv Shamans are quite common among the strong kids in the comp scene. First, climbers can benefit from different shoes for different disciplines. 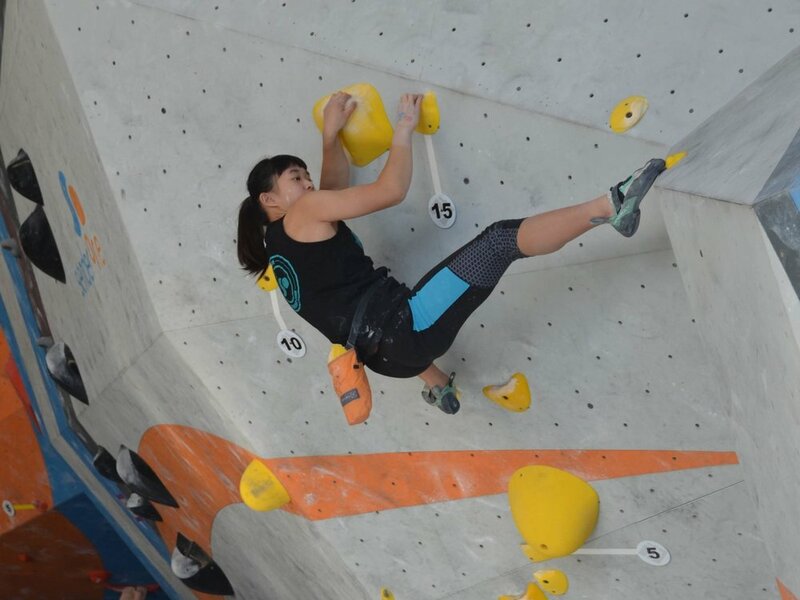 It’s not necessary for beginner and intermediate climbers to have a quiver of shoes, but it certainly makes a difference as you excel as an advanced competitor qualifying for divisionals or beyond. These are the different features you’d look for depending on the climbing discipline. Bouldering - Softer flex to conform to volumes common at higher levels of competition and improve smearing. Thinner rubber to improve sensitivity. Downturned with lots of rubber over the toes for inverted climbing. Fit is typically snug to be able to drive more power with precision on small holds. Sport (top rope and lead) - Firmer flex to provide more support on longer climbs which allows your feet to edge on smaller holds with less effort. Volumes and overhung walls are still present in sport climbing, but typically not as much so you don’t need the softer flex. That said, shoes great for bouldering can excel in typical indoor sport competitions but usually not the other way around. Stiffer shoes are at a disadvantage on volumes and other smeary situations. Moderate to aggressive downturn is still helpful, along with a snug fit, for precision and power. Speed - Soft flex and flat (less downturn) with a good sticky rubber is helpful because smearing abounds in speed. Typically you can enjoy a more comfortable fit with speed shoes but you don’t want them falling off. And yes, you can use your bouldering/sport shoes, too, but as you progress, you may want to specialize. Cost - Sit down, and take a deep breath. High quality competition shoes can run as much as $160 to $200. A comp kid who is in the gym three times or more a week can easily go through 3-5 pairs a year. Buy low and stock up. Anticipate the seasonal sales at the usual places like REI, Backcountry.com, and The Gear Coop. President’s Day, Memorial Day, and Black Friday are awesome times to stock up by buying the next size up on sale. It’s a little risky since they’re constantly growing. Going up a half size each time has worked well for us. What are those!? Scarpa Dragos. These are quite possibly the most expensive shoe on the market, but the strong comp kids swear by them. This is not a definitive guide and I know I’m leaving out a lot of good options. But I’ll try to stick to what I’m familiar with and what our community has tried and recommends. The redundantly named Five Ten Team 5.10 is a supple and sensitive shoe that excels at modern indoor competition bouldering. It holds its own in modern indoor sport climbs, too. Don’t see your favorite shoe? Feel free to comment what you or your kid rocks on their feet while crushing. Also let us know what kind of climbing they prefer and why that shoe helps them in that discipline! We’d love to hear from you. Competitive youth climber's dad. Full-time software marketer. Part-time plastic pebble wrestler.